How can you improve or maximize your laptop battery life? How can you prolong it's life expectancy of lifespan? These are very common questions for laptop/notebook user. Laptop / Notebook batteries are actually categorized as "consumables". They are expected to wear out in time. So, while you can extend their life expectancy, accept the fact that your laptop battery won't last forever, no matter what even when you're not using it. So, it is not a good idea to buy an extra battery now thinking that you can store it and use it once the original battery has degraded. It's better for laptop batteries to be used, rather than sitting on a shelve. So if you use a laptop, don't plugged it in all the time. Let it drain to about 40% and then recharge. 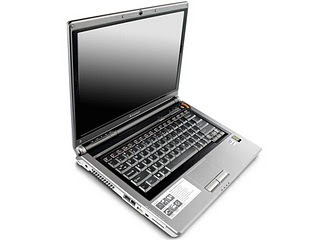 Laptop batteries are Lithium-Ion or Li-ion. 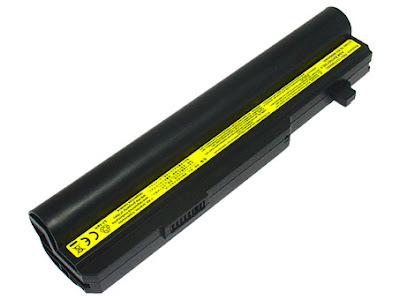 Lithium-Ion laptop batteries are rated for a useful life of at least around 400 life cycles. A charge cycle occurs when 100% of battery capacity is used. Properly maintained laptop batteries can retain up to 80% of their original life even after 300 or more cycles. Remove the battery of your laptop/notebook if you're using an AC power for long hours. Why? The heat that your laptop produces can overexcite the chemicals in your laptop battery and therefore, shortening its overall lifespan. Avoid exposing your battery to heat whenever possible. That includes leaving it under the heat/ray of the sun. Make sure your laptop is well ventilated when in use. Fred Langa of Windows Secrets even suggested that if you store your laptop battery, put in a tight plastic bag and put it in your refrigerator at about 4-5 degrees C. Well, I think that is overkill because of the condensation that may occur especially if you are living in a tropical country like me. But the point I like you to see is the idea of how heat can be harmful to batteries. You will also need to calibrate your laptop battery once a month. Don't worry, it's not as technical as you think. Calibrating your battery is just letting it discharged to zero every once in a while. But don't let it go deep discharge. When your laptop battery drains, windows will automatically hibernate. There's still little charge left on the battery. This reserve will hold the computer’s working memory in state for a little while. A deep discharge has occurred when even that percentage of reserve power is used up. Deep discharges will strain your batteries, so try to charge them frequently.